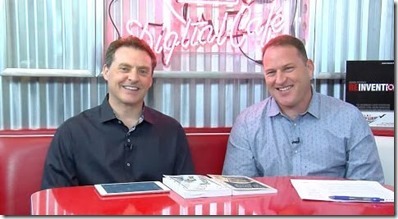 Reprinted with permission from Social Network Effect – Live Webcast–Mike Koenigs Delivers Another Content Filled Session! You’re invited to a LIVE, half-day webcast with Mike Koenigs, and some celebrity guests and all stars! You’ll see how to press a button and promote your products and services onto every screen, computer, tablet, television, pocket and even in the cars of every person, prospect or business in the world – almost 7 billion people! The best part is that the entire training is free. How cool is that? Plus, you’ll hear real-life stories of people just like who are using the Traffic Geyser 2.0 tools and strategies to broadcast their message to the known connected planet. Register for the training webcast. What if there was a way to have everything you need in one system so you can broadcast your message to the connected planet while simultaneously doing all of your marketing, lead capture, follow up and sales? And what if it worked and connected with all of the systems you already have in place? The great news is – that dream is finally a reality…and you will be among the first to see it this Thursday! You’ll get the chance to enter for PRIZES like an Apple TV, a ChromeCast, Amazon gift cards and more! I’d love to have you join the webcast. Get your questions answered LIVE! They’ll be sharing strategies, stories and proven systems all afternoon long, so be sure to come join us. Reserve your spot now for Thursday’s webcast. PS – Mike hosted a webcast just like this less than 6 months ago and it went down as one of the most highly-attended, content-rich events of the year. So, if you’re serious about making your ideas work for you, then be sure to attend live. PPS – Mike does not have a plan to publish a replay, so be sure to make it for the live call!